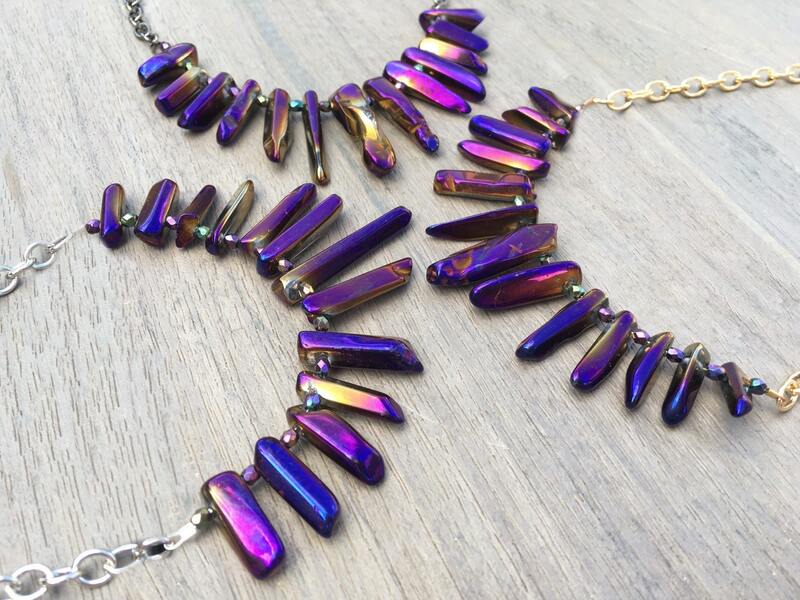 Beautiful polished purple quartz is strung on thin wire, adorned with a faceted iris purple glass bead between each shard. 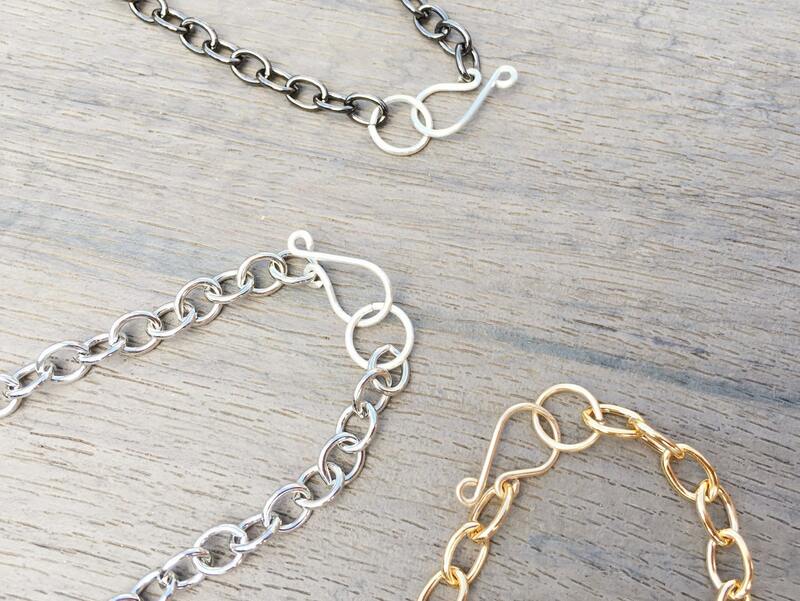 The hand-formed sterling silver or gold-filled hook and eye closure is hammered and polished for a strong, luxurious finish. Graduated sizing of the strung quartz emphasizes the center of this necklace, with the largest piece of quartz as the focal point. 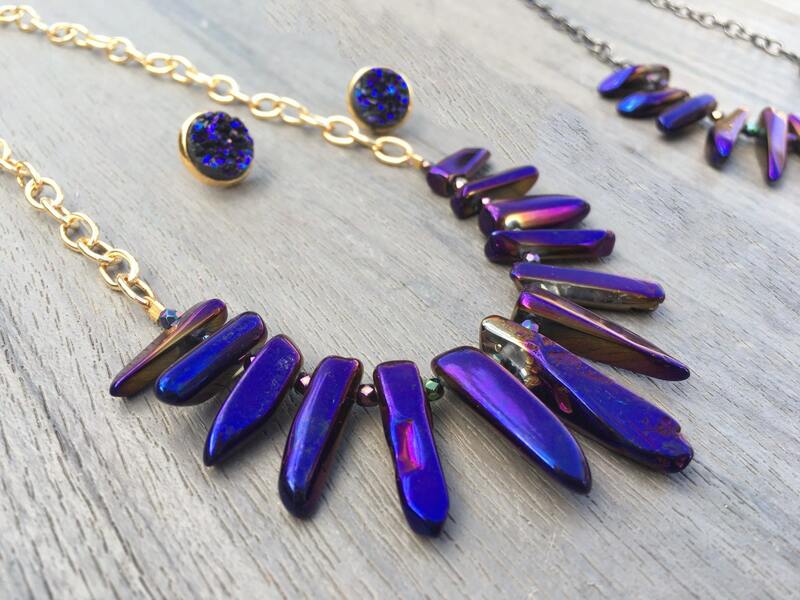 These necklaces are made to be reversible: one side is full of rich, dark purple hues and the other side has purples mixed with gold highlights. 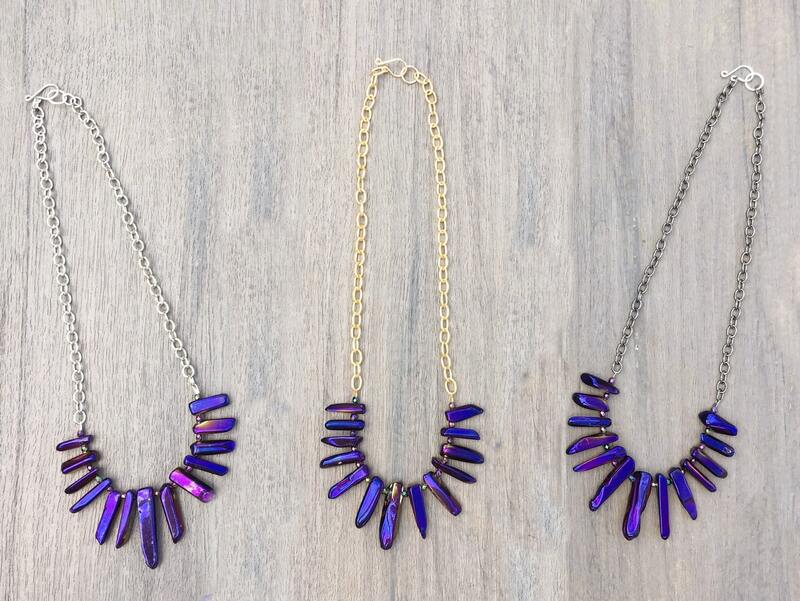 Want the matching druzy midnight purple studs? Add them on for only $5! 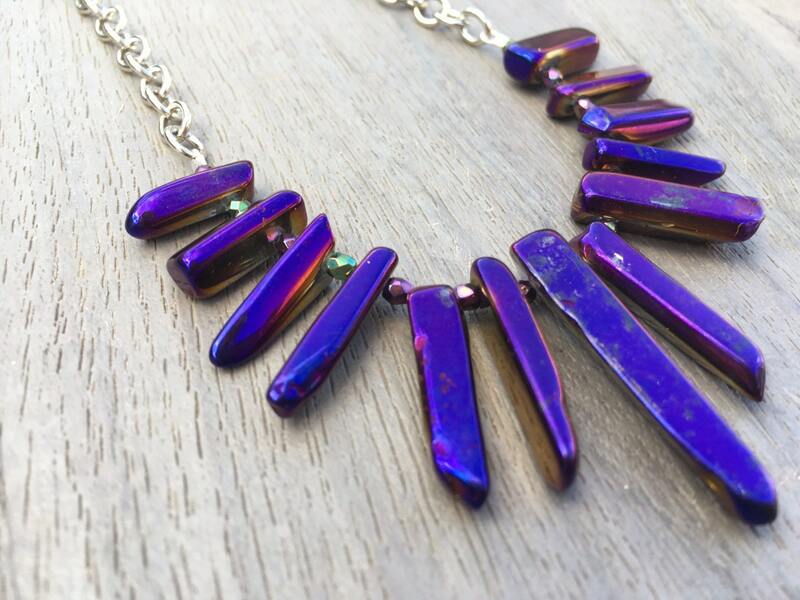 The metal finish will match the necklace you order.